The world has skyrocketed toward social media in recent years, and so as the numbers as they have become one of the easiest ways to attract and engage users. When we talk about the proliferating numbers, each platform has its own audience class, engagement model, and success measures. Instagram - one of the most visual Social Media apps, has become an influential key driver of brand engagement. We understand how important it is to attract the user, and to achieve the same, customized Social Media App Development can be a game changer. As we know, "less is more"- and the short stories by Instagram offers social marketers great opportunities to hit a higher number of people. From start-ups to established brands in businesses including education, retails and fashion, there is a serious competition among the brands of all sizes to join the Instagram community. Do you know what makes the photo-sharing platform one of the main attraction these days? Marketers believe that on Instagram million of users hit, and this further help brand in easy product discovery, engaging and effective. Stories featured in Instagram offer social marketers a great opportunity to reach a higher number of people. This year, Instagram mobile ads are expected to rake in over 6.8 billion dollars. And no doubt, with such huge figures, it will not be wrong to consider Instagram as the new engine behind Facebook’s growth as a company. And ignoring Instagram in 2019 can be a foolish decision. The social media app treasures over 800 million active users with 50% following brands and the figures are based on monthly speculation. Forrester determines engagement by likes, shares, and comments by the users. And, Instagram treasures 4.21% engagement which is 10 times greater than Facebook, 54 times higher than Pinterest and Twitter it is 84 times greater. ➣ The older age groups spend more than 24 minutes a day on the Photos and video-sharing network. The numbers are quite surprising, as per the latest Instagram stats - there are more than 800 million monthly active users, as of now. Further, experts assume the numbers to hit a billion in 2019 as well. ➣ Instagram treasure three times as many users on WhatsApp and Facebook Messenger. What distinguishes Instagram and set it as a successful and flourishing strategy for marketers? The visual aesthetics renders a sense of loyalty with uttermost comfort, which has made Instagram marketing strategies imperative for businesses. 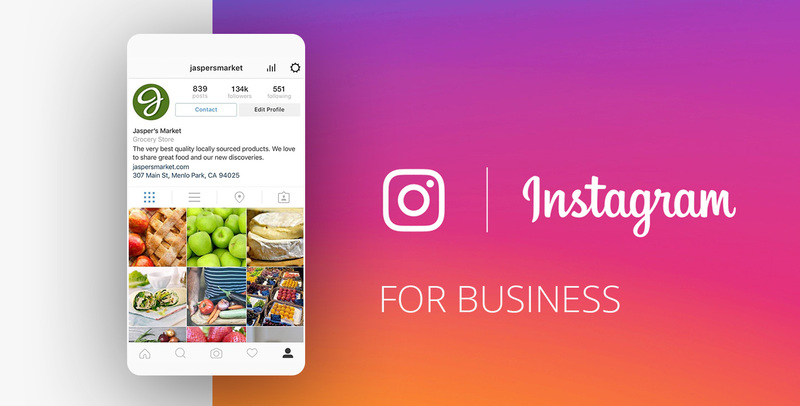 Therefore, it’s significant to understand what makes Instagram a win-win approach for generating effective target, engagement and sell products. Here we have sketched some of the useful tips to increase engagement. Brands need to be active in order to attract followers and booster engagement rates. According to studies, the sweet spot is a consistent 1-2 posts a day. Knowing when the best time to post on Instagram is also critical when dealing with Instagram's algorithmic timeline. However, the recommended post times can be different depending upon location, target audience and time. Having a proper consistency will help in engaging more traffic. The Insights feature of Instagram business account allows to identify when the follower is most active, therefore you can schedule posting time accordingly. It's easier to attract using by painting a storing via videos and images, rather than preaching. Therefore, start to offer microstories via video, hashtags, Instagram stories and etc. Or you can also try sharing user-generated content resonated with the respective brand you are promoting. Increase Instagram channel promotion as much as possible. For instance, you can make Instagram account promotion on Facebook by making an advertisement on FB with a clickable link to your Instagram page. Further, you can go for Instagram’s auto-post and cross-promotional tools available in the mobile application. The cross-promotional tools help in the fast and easy posting from Instagram to other social media networks like Facebook, Tumblr, Twitter, and more, drawing participants from across all social networks. No matter how old this practice is, but email will remain one of the crucial ways of establishing the true relation with customer. This is the reason, brands aim to convert Instagram followers into email subscribers via secured steps designed to conceive compelling Instagram marketing for email. The wide range of Instagram apps and filters available can be used to do wonder. It's a boon for brands. This is because the platform is visually-driven. And Instagram’s most popular feature among marketers is the filter options which are quite efficient for making images and videos look distinct look. Building an SEO tact for your Instagram account is essential for this increasingly competitive platform. The two focus point affecting your SEO are account handle and account name. It should clearly indicate the sector in which your business moves. Instagram stand out among its social networks. And with the advancing digital space, lots of happening changes accompany. Thus, it’s a win-win strategy for brands to integrate Instagram in Mobile Application Development for a better result. In today's era, stories proliferation showcase real value for the audience, which means painting your brand's stories makes easy reach among the users. Let’s Gear Up With Ideal Social Media to attract more traffic to your Web App & Mobile App!